In addition to providing you with information on coastal Carolina's top lifestyle communities, I can personally assist you with your community search. I am a licensed and experienced community specialist that will be with you every step of the way, always looking out for your best interest. You will receive unbiased assessments of neighborhoods, communities and market conditions. Let me show you how I can save you time and frustration by narrowing down your searches and making sure time is well spent looking only at properties that make sense for you and your lifestyle. Please feel free to call me, Suzanne Polino at 910-477-1378 with any of your questions. Waterford of the Carolina's is located 5 minutes from historic Wilmington, North Carolina. 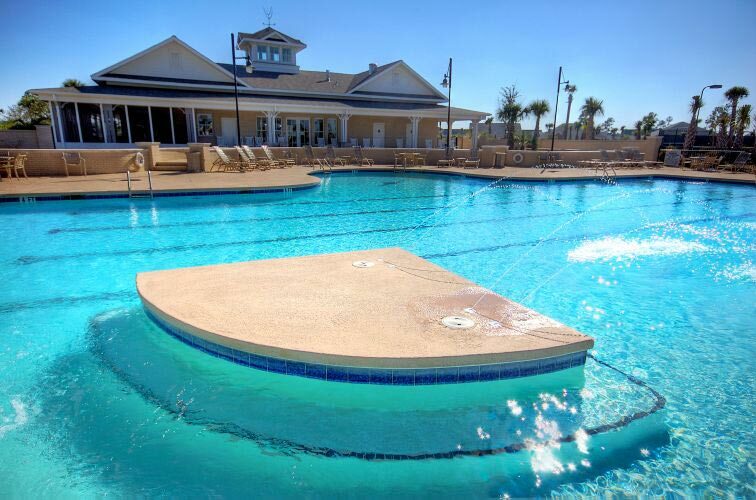 Waterford of the Carolina provides its active adult residents with the ability to enjoy a host of resort-like amenities, include a unique canoe and kayaking waterway that weaves throughout the community. At Waterford of the Carolina's, you'll enjoy the conveniences of an urban area with the peach and quiet of a charming southern community. Waterford of the Carolina's also provides convenient access to a wide range of entertainment, restaurants, shopping, medical, coffee shops, and theater, most within walking distance of your front door. Be as active as you want with a whole host of planned activities, clubs, and amenities all included in the Waterford of the Carolina's southern lifestyle!